1. Log into the SharePoint site and select the document library or item to map. Then on the ribbon, under Library Tools, click the Library tab. 2. Under the Connect & Export section, click Open with Explorer. 3. 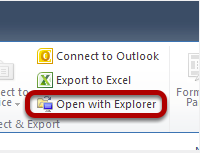 In Explorer, right-click the address bar and choose Copy address as text. 4. 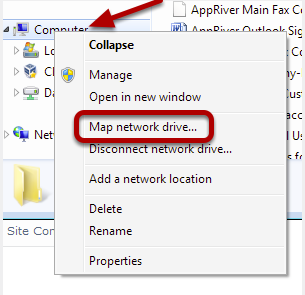 Next, right-click the Computer icon link in the left side of your Explorer window and select Map network drive... .
5. Paste the copied text into the field, and select the Connect using different credentials check box. Then click Finish. 6. A window will appear asking to validate the account. Once the username/password to the SharePoint site is entered, a new Explorer window will open. 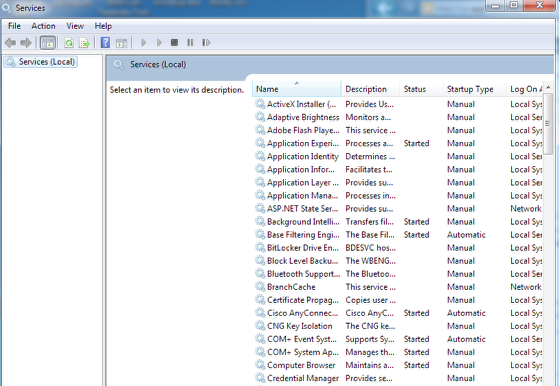 Click the Start/Windows button and enter Services.msc in the search bar. This will open up the services window. 7. 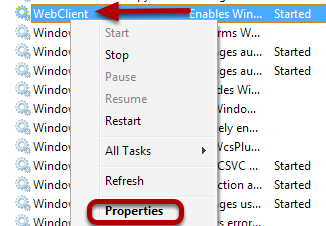 Scroll down to Web Client, right-click it, and choose Properties. 8. 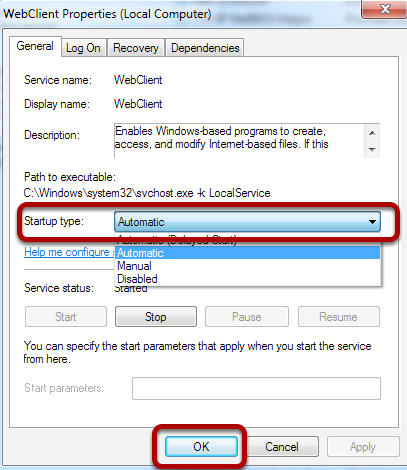 In the WebClient Properties dialog box, click the Startup type: drop-down arrow and choose Automatic (if not already selected). If automatic startup type is not selected, the mapping will fail to start and will not log into the SharePoint site automatically. The SharePoint URL may need to be added to the Trusted Sites in the browser. Microsoft has set the SAML Token to expire every 2 hours, requiring the user to re-login.